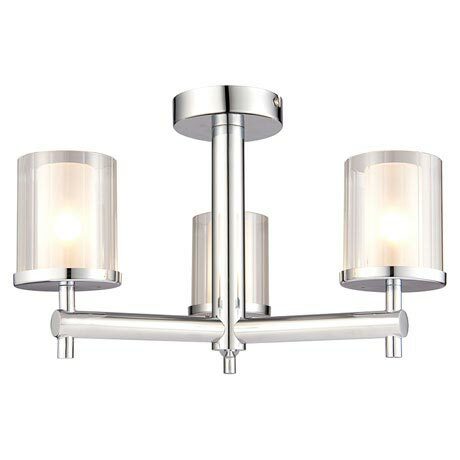 The Britton semi-flush bathroom ceiling light features an elegant design with its chrome effect plate and clear ridged glass shade. This fitting is compatible with dimmable and LED lamps and comes complete with fixings. A matching wall light is also available.